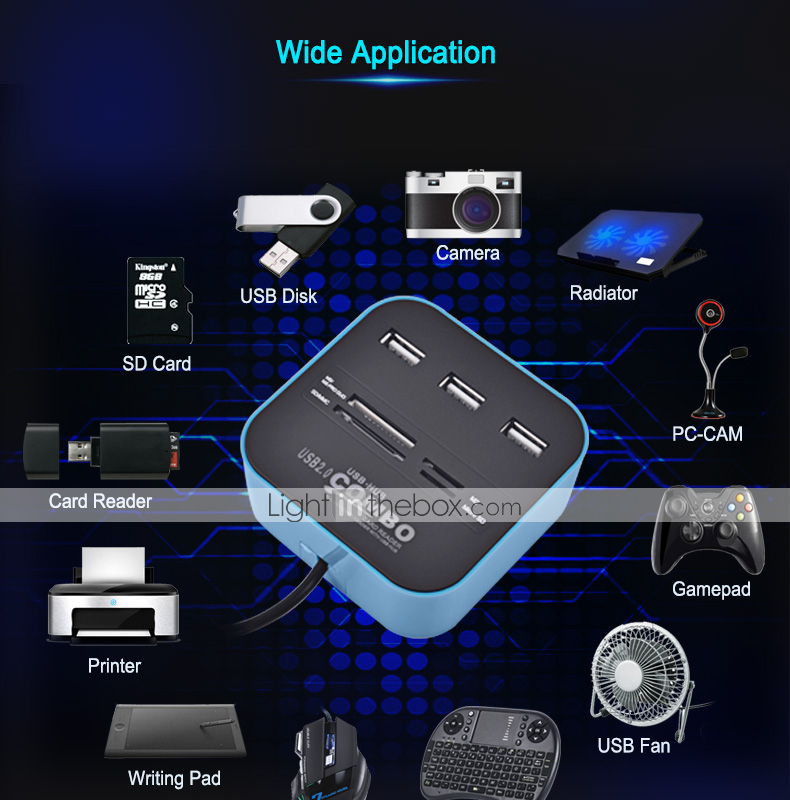 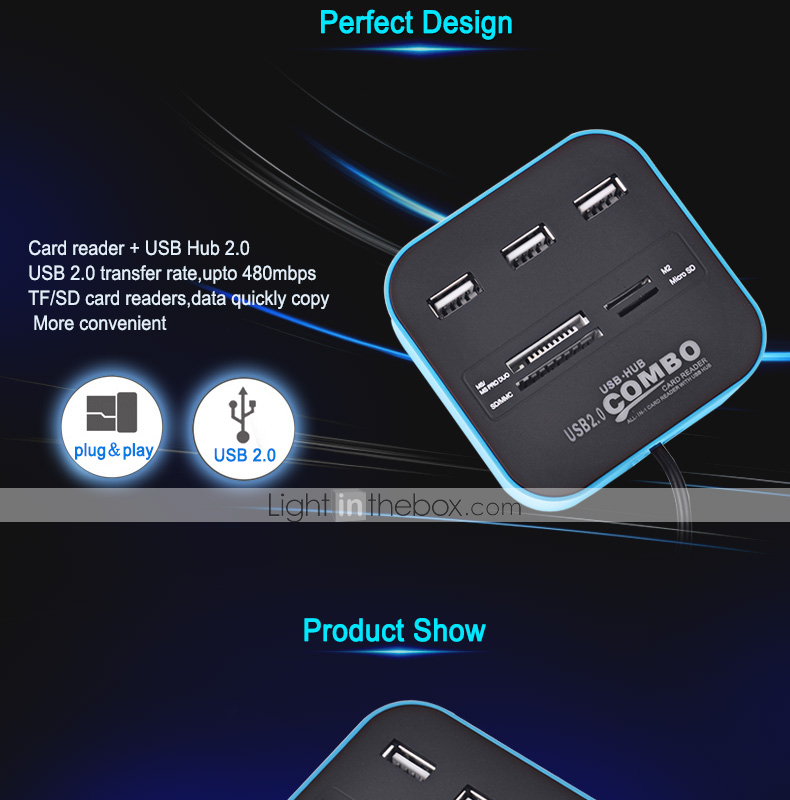 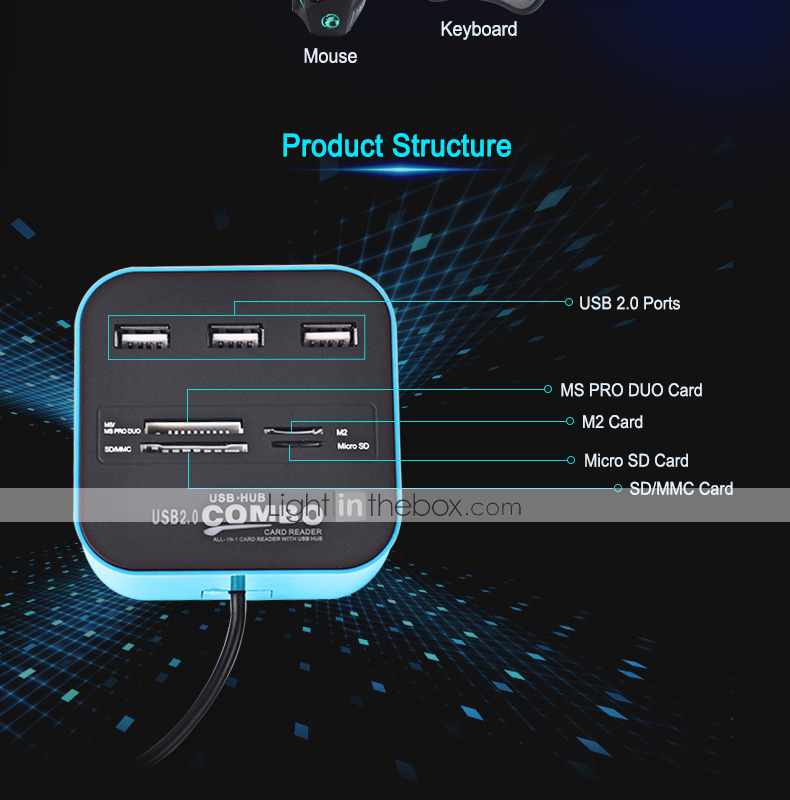 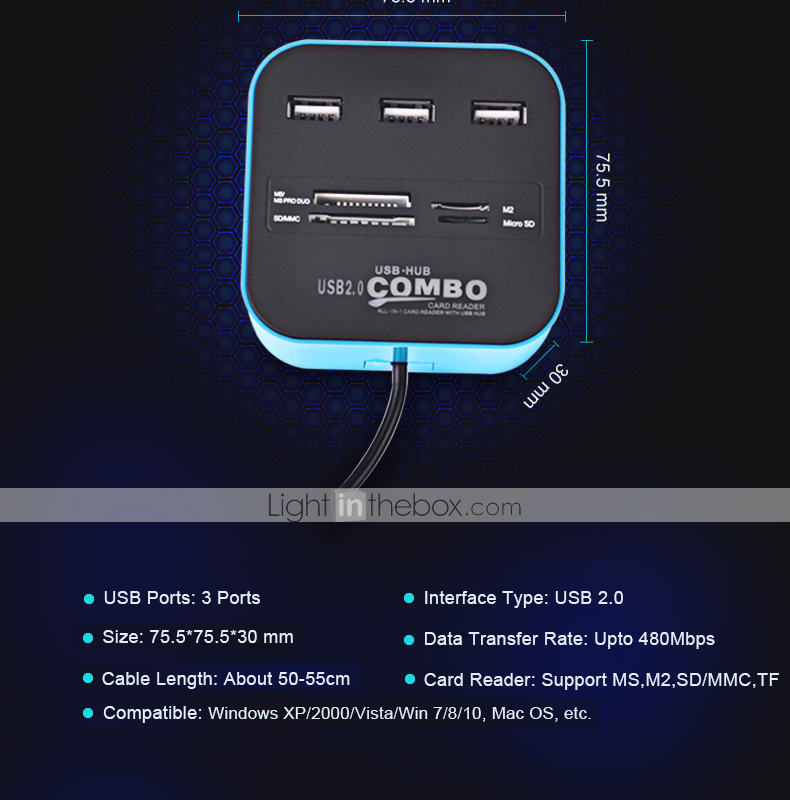 Specification: Item Name:USB Hub USB Ports:3 Ports Card Reader:Support MS,M2,SD/MMC,TF card Date Transfer Rate:Upto 480mbps Compatible: Windows XP/2000/Vista/WIN 7/8/10,Mac OS,etc. 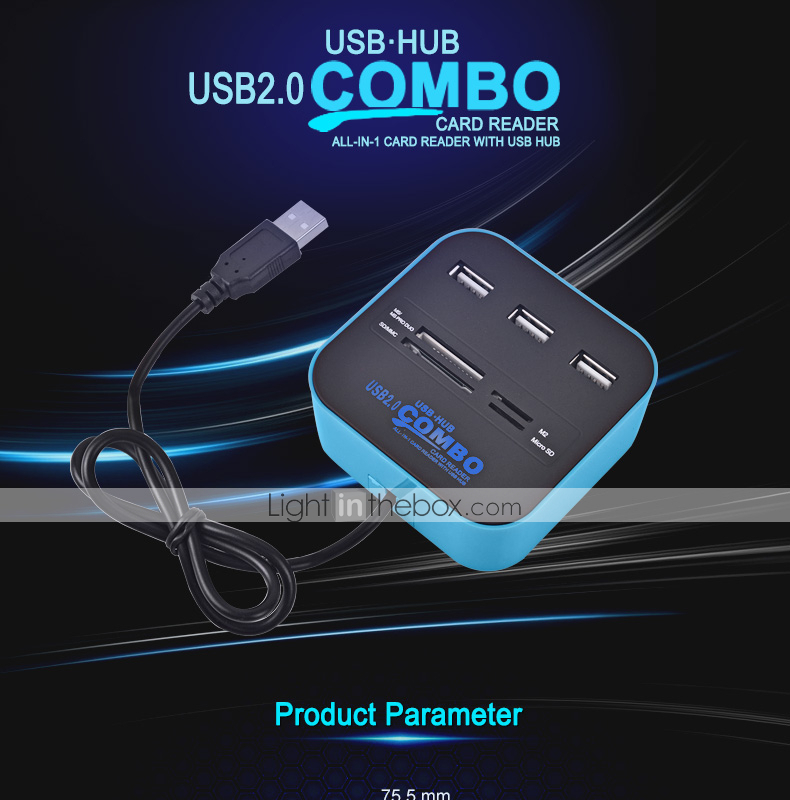 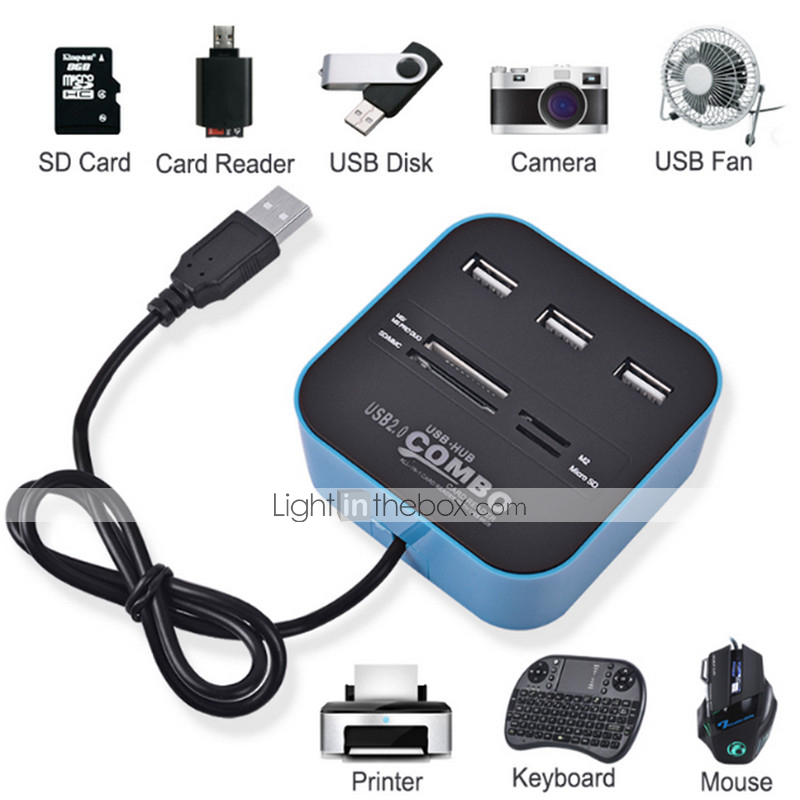 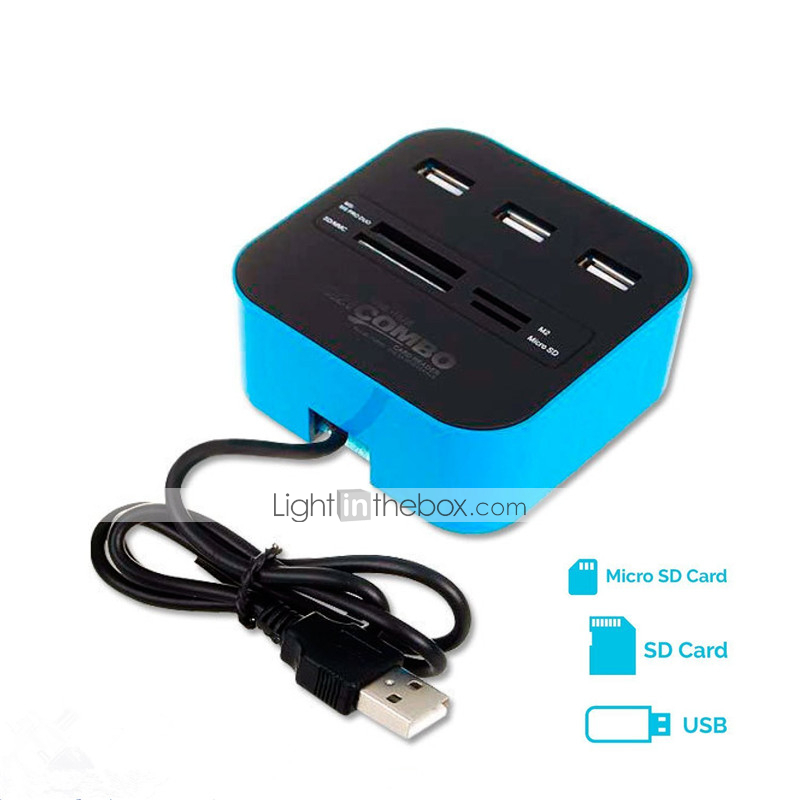 Notice: This USB Hub is not for charging.It is for data reader. 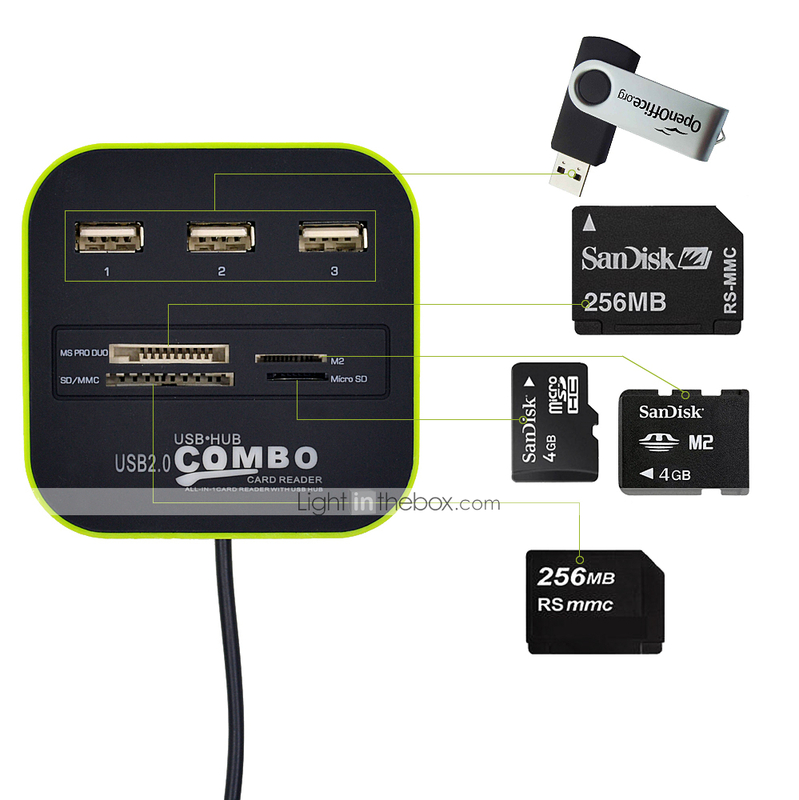 The TF Card and SD Card can not be read at the same time.